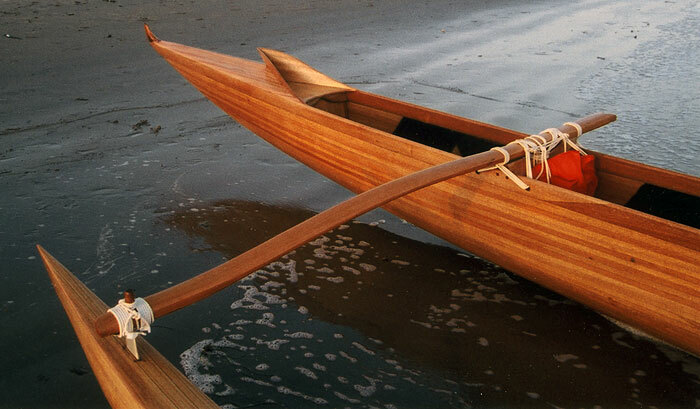 Victor DiNovi writes "KELEKA is a four-person outrigger canoe made in the Hawaiian tradition. She is strip-planked in Philippine mahogany with 10 oz. glass covering, and carbon fiber unidirectional diagonals on the interior for longitudinal stiffness. She is 28'4" long, with a 17" beam, and a hull weight of 160 lbs. Her only break with traditional design is the addition of a foot-operated rudder and some aluminum structural supports in the ama (outrigger)." 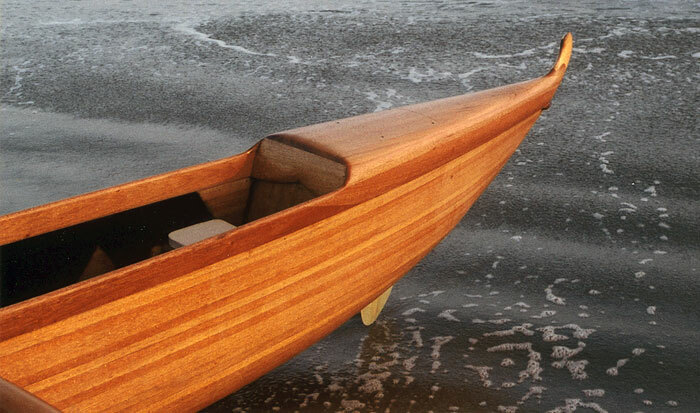 His own design, though based on the traditional six-man racing canoe, Victor uses her on the ocean four to five times a week. You can reach victor at www.dinovi.com.